Chic Alert: Mulberry Handbag Giveaway! 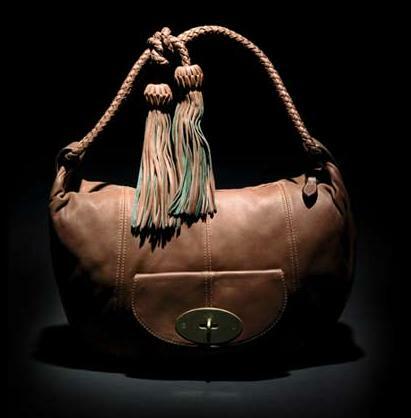 And for the last day in October, today's handbag prize is a gorgeous Mulberry designer handbag valued at £350. This is the final designer handbag up for grabs in this great handbag competition and remember, one of the bags contains £7,000 cash! On 1st November all 31 winners will be entered into a draw for this £7000 cash jackpot prize. One overall winner will be selected at random. For more competition details see the Win a Designer Handbag post. i've been entering this contest almost daily the last couple weeks! Havent won anything tho :( (not that i know of anyway) *crosses fingers* good luck to you too! Thanks for saying hello and I do hope that you are one of the lucky ones and perhaps, you might also be the winner of the big cash jackpot. Now wouldn't that be nice. Anyway stay tuned as the winners names will be announced very shortly. Yes fingers crossed alright!! !